Zane Tarence is the Managing Director of Founders Investment Banking’s Internet and Digital Media Practice. He is an experienced investment banker, entrepreneur and recognized expert on the growth and monetization of digital media, internet technology and software companies. Over the past 15 years, Zane has led and completed more than 75 technology deals, including facilitating one of the largest sales of a single-person blog in the world. Before joining Founders, Zane independently and successfully created and sold two technology businesses to publicly-traded companies, resulting in a keen understanding of the traits necessary to build a valuable company and close an exceptional deal. 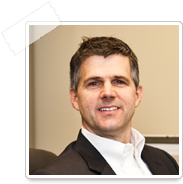 Zane has more than 24 years of experience as an operator, investor and dealmaker in the technology arena. Prior to becoming an entrepreneur, Zane began his career at IBM. Zane has a Masters in Organizational Management from Southern Christian University and received his Bachelors of Science in Business Administration from Auburn University in Montgomery. Zane currently is a Board member of Reliant Financial Group, Birmingham Venture Capital Board, EAP Mentorship, Alliance Consulting and Digital Media Holdings, and is a frequent guest lecturer at the University of Alabama School of Law.